is one of the repeating tasks when traveling. Usually there is a couple of options for handling the tradeoff between spending time, and money with comfort and safety as other aspects that might be worth considering. On this trip I feel like I’ve used most options available. On the fast end there were the planes that got me from the USA to Mexico, from Mexico to Cuba, and from Cuba to Costa Rica. 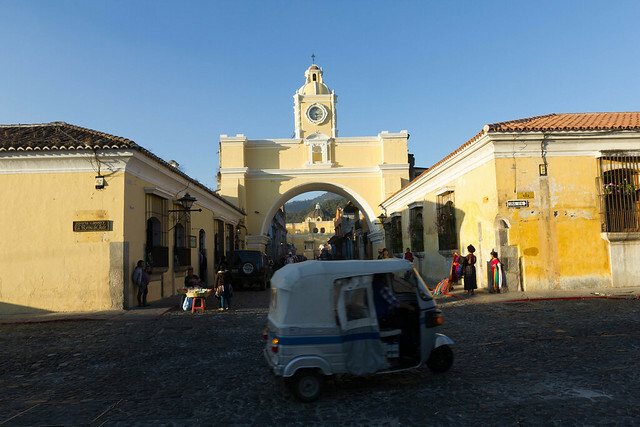 On the slow and there were o horse carriage on Cuba and hiking in Guatemala. 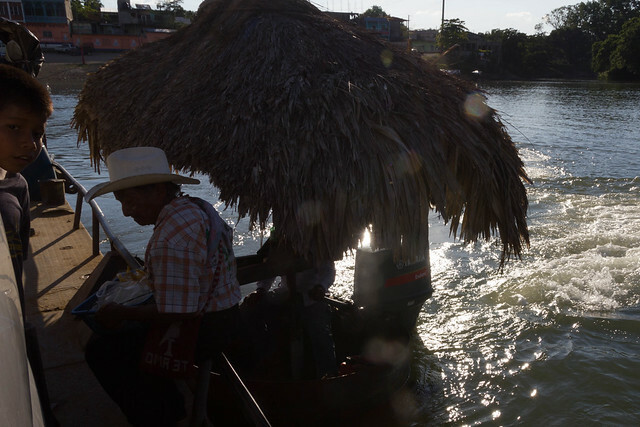 I’ve taken boats in Guatemala and to get from Guatemala to Belize. 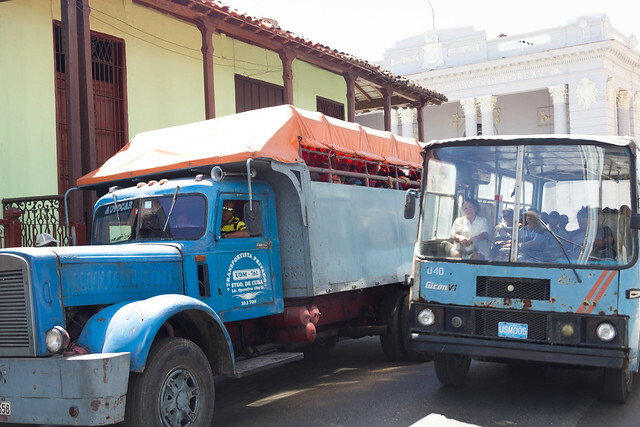 The busses ranged from the Cuban truck-bus to the 1st class+ night bus with massively reclining seats, power supply at the seat, AC and headphone jacks for the sound of the movies in Mexico. The prices ranged from the free hitchhiking on the back of a pickup in Belize to somewhere around $50-70 for a night on the bus in Mexico. Cuban truck-bus (ok, I only used it on a day-trip). 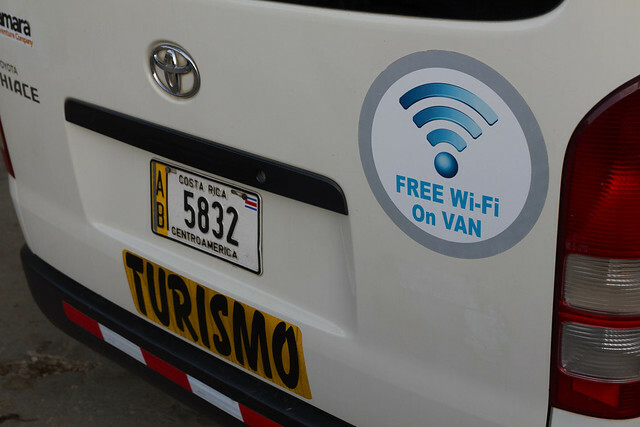 Costa Rican tourist shuttle offering WiFi. I didn’t take it, largely because the WiFi is free, but the trip is pretty expensive. The ways of getting the tickets vary widely. In Mexico ADO has a usually functioning website with all connections and the option of buying tickets. More local transport usually works with frequent collectivos and taxi drivers will strongly offer their service and deny the existence of any alternatives (this actually applies to all countries). Hitchhiking and the chicken bus work on arrival and are definitely the cheapest options of getting from A to B. Along the Belizian Coast there is a lot of US expats and some locals offering rides. Hitchhiking into the interior on a Sunday proved less successful but there’s always a chicken bus to the rescue. 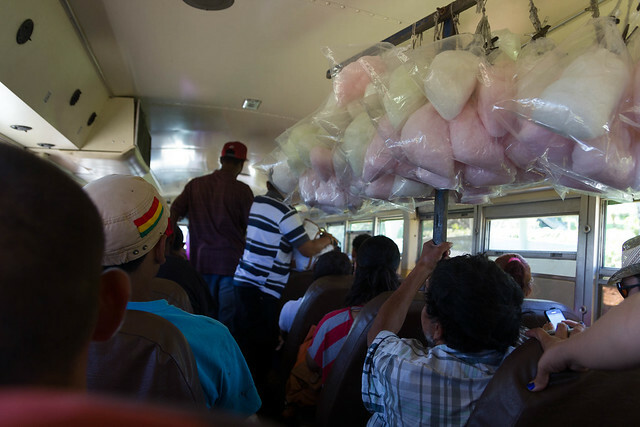 Belizean bus – not quite up to the level of Guatemalan chicken buses, but I’ll call them that way anyway. 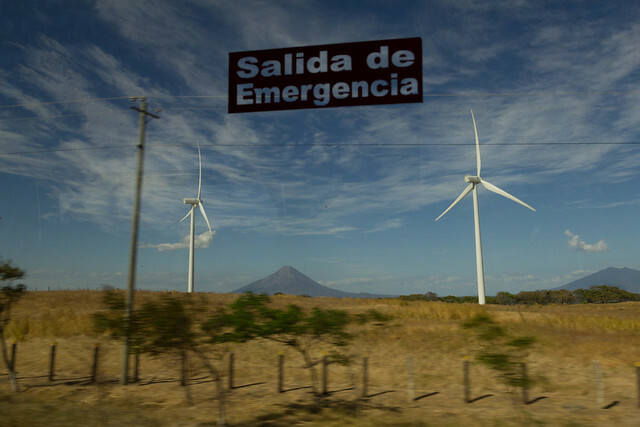 In Guatemala I mostly used tourist shuttles that any hostel will happily arrange. 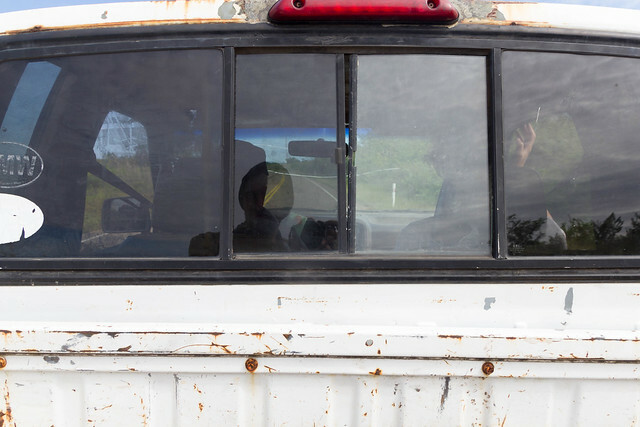 In Livingston a local trafficker will approach you with offers for the ferry to Belize. It takes a bit of effort to keep the prize from increasing after accepting the offer, though. For short distance transports in smaller places, tuc-tucs offer their services. These little three-wheeled boxes with tuc-tuc-engine and – depending on the owner – a substantial sound system will transport up to three tourists (or a probably pretty unlimited number of locals). Usually the first step on any trip in Guatemala is to get gasoline. If it’s a longer ride, you can expect one unexpected event. My personal highlight was on the trip from Lanquin to Flores. Shortly after one of the usual rest breaks at a gas station, we drove into one of the villages, our driver sorted some business in a house, then picked up an elderly guy somewhere else in the village and went to the next gas station. There he asked us to leave the bus since he was going to perform an oil change. After waiting for the bus, that still had our luggage on the roof, for something like half an hour we continued our route. I don’t even remember where we dropped off the elderly guy. In a tourist shuttle on a ferry in Guatemala. The kid in the left margin is outside and trying to sell oranges. A tuc-tuc in Antigua. Click here for a video from a ride at Lago Atitlan. The Cuban bus system has schedules and a reservation system online. 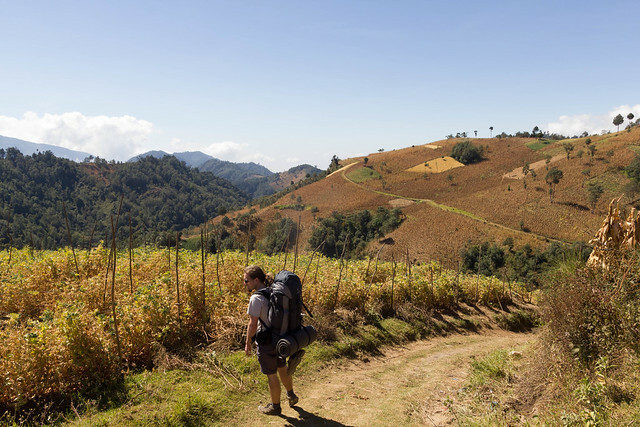 The only problem is that you usually don’t have internet access and the people at the bus terminal usually don’t know connections in other cities than their own one, so connections are something you can hope for and facilitate by starting early. Plan to spend at least one hour to buy a ticket. 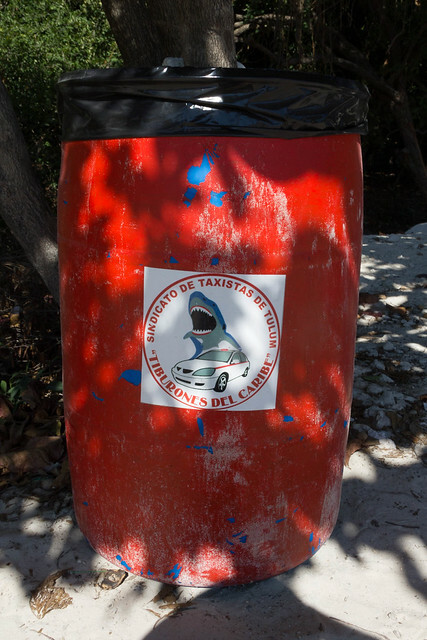 In addition to the bus system shared taxis provide a viable option for moving around on the island. 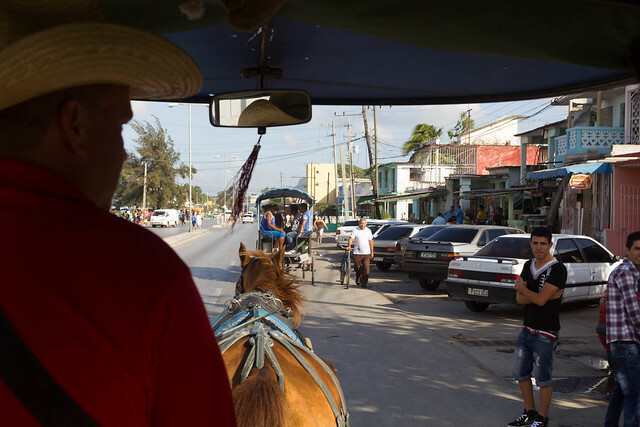 In the bay of pigs the rum-drinking local at the main intersection gladly collects a couple tourists for a shared taxi and defends them against other taxi drivers offering a cheaper ride. 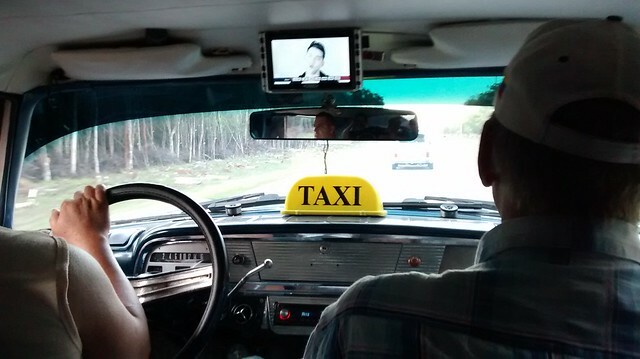 With a bit of luck, you get an old US-car with a little video system and massive speakers in the back for the music. 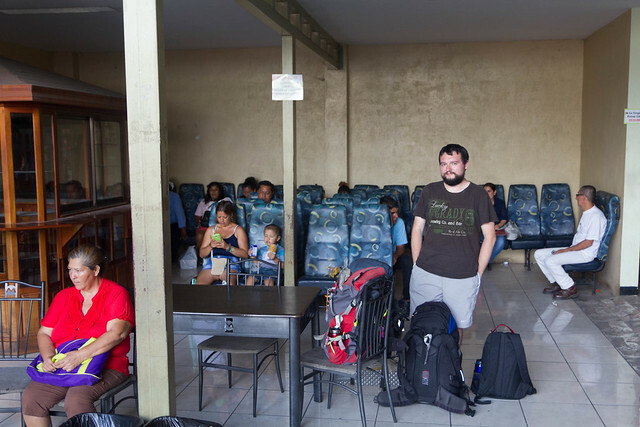 Costa Rica has infrequent long-distance buses that work on a french-railway-style system with pretty much any trip going through San Jose. To keep things interesting, the system is split up into a lot of different companies operating from different terminals in the same city, and publishing schedules on the internet is frowned upon. Some people still post local schedules (Thanks to Dan for pointing out the excellent schedule for Domincal!). By asking other travelers coming from the destination, inverting their route and starting early, one can optimize chances of arrival on the same day. 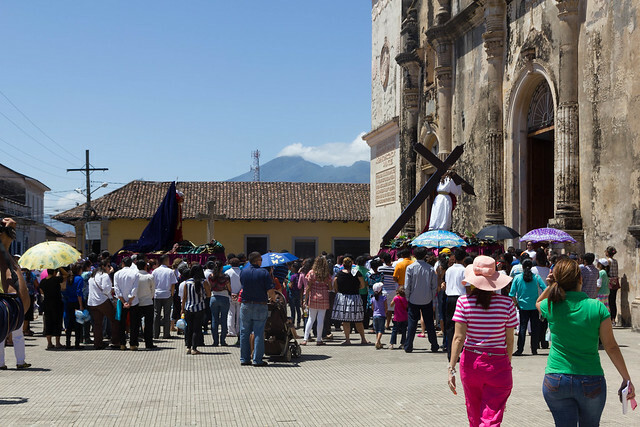 Right now I’m in Nicaragua, where there seems to be a combination of most options available – just not during easter, the main travel week. The only one who’s being transported today is Jesus.